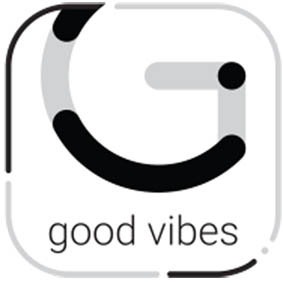 Embracing the core value of technology + creativity, Cheil WW India launches Good Vibes app, the first-ever mobile app that enables two-way communication for the deafblind. The app won four Abby Awards at the recently held GoaFest 2018, including Gold Abby for Technology (Utility/Tool). There are an estimated 6,00,000 deafblind persons around the world. Many more remain unknown. Since 95% of what we learn is through our eyes and ears, the deafblind, who can neither hear nor see, are highly disadvantaged. While the progress of technology has touched our lives in unimaginable ways, the deafblind community has been left behind. For them, the only medium of interpersonal communication is Pro-tactile Sign Language, which requires physical contact with a person who can interpret it. This makes them feel shackled and ever-dependent on caregivers or family members. For team Cheil, the smartphone’s inherent ability to vibrate held promise as it provides the much-needed tactile feel. 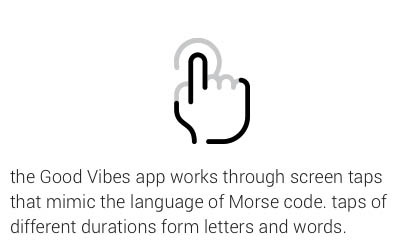 By combining this with the simplicity of Morse Code to represent the alphabet in a binary fashion, the Good Vibes mobile app was designed & developed. The Good Vibes app can take ‘tactile input’ and transmit it as ‘tactile output.’ The app has no visible UI, and works on a set of hand gestures and taps, helping the deafblind community to connect and chat with each other from wherever they are. Technically speaking, the Good Vibes app interprets ‘short tap’ and ‘long press’ as ‘dot’ and ‘dash’ of Morse code. Combinations of these make letters and words, which are then transmitted as distinct sets of vibrations, which can be deciphered by any trained deafblind person. This is the first time in history that we have an effective two-way communication tool for the deafblind. Conceptualized, designed and developed in-house by Cheil, Good Vibes app brings together the power of creative thinking and technological innovation. Through the language of vibrations, the Good Vibes app aims to spread positivity in the lives of the deafblind. Available on Google Play store, the app can be downloaded and used for free. The app was developed by working closely with Sense International (India), a Non-Profit Organisation that works towards providing access to advice, opportunities and support for the deafblind community. Good Vibes was recently showcased at the “National Training for Adult Deafblind” held at Ahmedabad. “After interacting with the deafblind and their caregivers, we knew we had our task cut out. We had to design a user experience that replicates ‘touch & feel’ – the only form of two-way communication used by them. With the Good Vibes app, we dug deep and explored a whole new dimension of app design: one that works for those can’t see or hear. The result is ‘the invisible UI’ – probably the first of its kind. And it works like magic.” added, Vijay Simha, Executive Creative Director & Vinod Sivan, Group Creative Director, Cheil: the duo that led the design and development of Good Vibes app.